Earthy rawness and sweetly-infused flavours that escape tagine pots are just a few of the reasons to visit Morocco. With a population of 34 million, Morocco is the warden of exotic plazas, robed men artfully handling snakes, coastlines with sparkling beaches and entry to the Sahara Desert. Attractions include Fez Medina, Hasan II Mosque and Jemaa el-Fnaa. Get ready for a sensory overload, because cheap flights to Morocco are now available for a limited time only! Morocco’s most populous city, Casablanca, is home to Mohammed V International Airport (CMN), located on a 50-minute drive from the city centre. 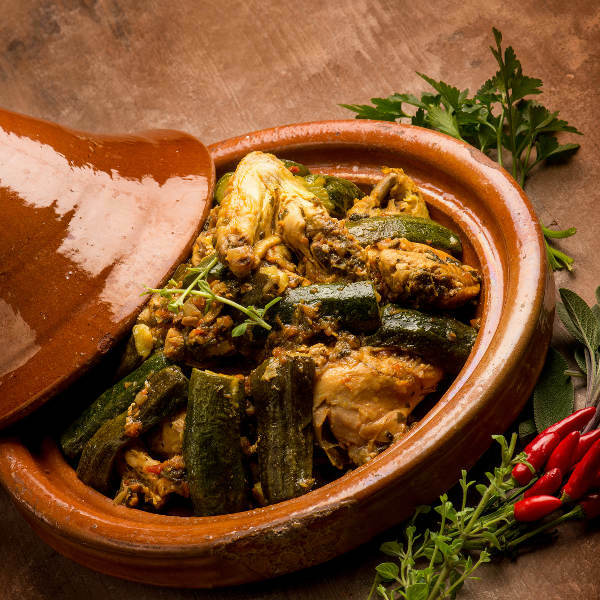 Let Morocco entice you with its pottery vases, riads, Islamic influences on the land, aromatic teas, and of course, the lamb tagine with its fresh ingredients and wonderful combination of flavours that invite you back to this exotic land. The history of this land is infused with influences from North Africa, the Middle East, the French, Spanish and more. 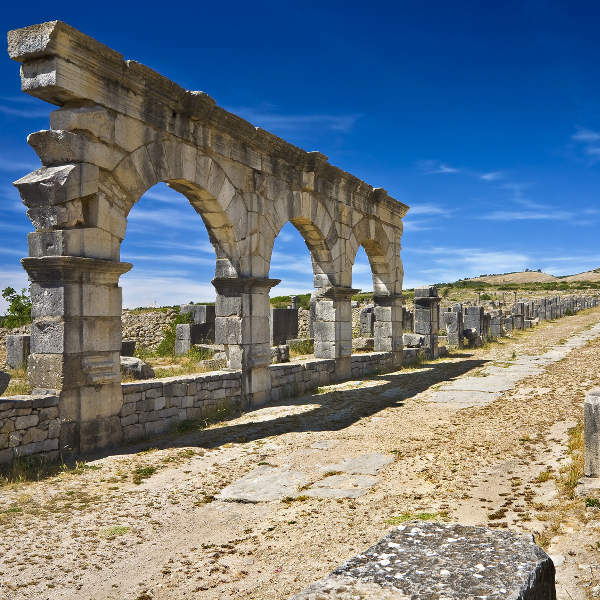 Learn the history as you cross the lands and spot hidden courtyards, ancient tombs and Roman architecture. Morocco has made a name for itself as one of the top destinations in which you can spend your days sifting through trinkets, admiring ancient architecture and pausing to take in the tastes of the country’s rich dishes. The most ideal times to visit Morocco are between spring (March to May) and autumn (September to early-November). During this time you will experience pleasant day time temperatures of between 22°C and 24°C. During the summer season (June to August), it can get exceptionally hot and uncomfortable across the cities located in the centre of the country, such as Fez and Marrakech. For cheap flights to Morocco, consider visiting between mid-November and February. With the ocean to your front, the Atlas Mountains to your right and the Sahara Desert on your back, Morocco is more beautiful than you can imagine, with full-flavoured dishes and a culture so rich it feels as though you’re in a different world. Drink your fill of mint tea across the country and eat your way through variations of couscous and saffron-infused tangerine dishes. For those who want to dip their toes into the ocean, the Mediterranean coastlines of Agadir and Casablanca are blessed with soft waters and welcoming palmy stretches. And if you’re more of a adventurist and have space for a pair of hiking boots in your luggage, then you’re in luck as the Atlas Mountains stretch along the border of Morocco, providing ample opportunities for trekking its slopes. Feel the electrical buzz in the air on the streets of Marrakesh. 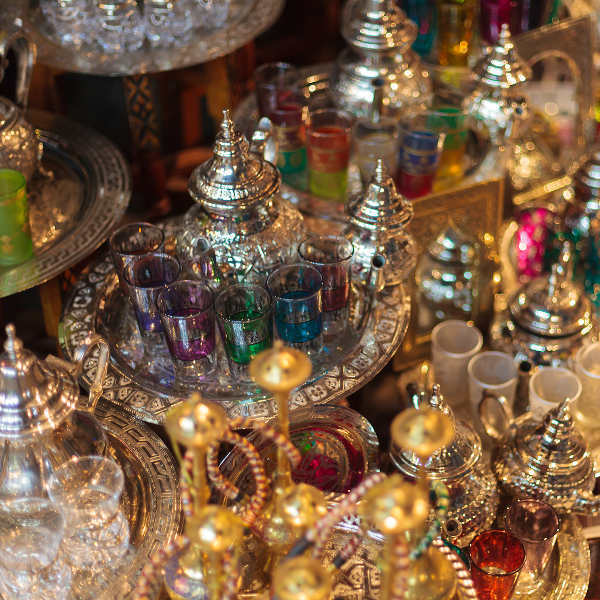 The city is the heart of Morocco, with tastes and influences from across the globe. Make sure to pop by in the evening, when the full splendour of the food stalls and their intoxicating flavours can be experienced. The Jemaa el-Fnaa square is everything your taste buds could ever wish for. Between the Sahara Desert and Marrakech is where you’ll find the former caravan route of Aït Benhaddou. Take a step back into a village that was built-up of complete clay and rock, and has featured in famous films such as Gladiator, and popular series, Game of Thrones. For an authentic Moroccan experience, straddle a camel and head out into the desert (with a guide, of course) to get up close with nature. There are even overnight camping options available. Compare several airlines, and book your cheap flights to Morocco online with Travelstart! Morocco is a safe country and with a bit of commonsense and cultural awareness, your trip to this destination should be hassle-free and thoroughly enjoyable. Watch out for the medinas in Fez, as the area can get a bit sketchy with pick-pockets and petty thieves. For women, travelling through the markets and souks by yourself can be a bit dodgy as men will attempt to approach you often. Though the cities of Marrakech and Casablanca are accustomed to thousands of tourist visits a year, it is recommended to dress conservatively and cover your knees and shoulders. Also, don’t walk around alone after dark. As for public transport, locals and foreigners alike make use of the buses and trains available throughout the country. It may not be the cleanest, but it is efficient and cheap. When using private taxis, it would be a good idea to decide on a price upfront with your driver. While there are no vaccines required for your trip to Morocco, it would be a good idea to visit your local doctor for a check-up 4 – 6 weeks ahead of your trip. The following immunisations are recommended: hepatitis A and B, typhoid and rabies.